Scones are a favorite at Sweet Laurel. 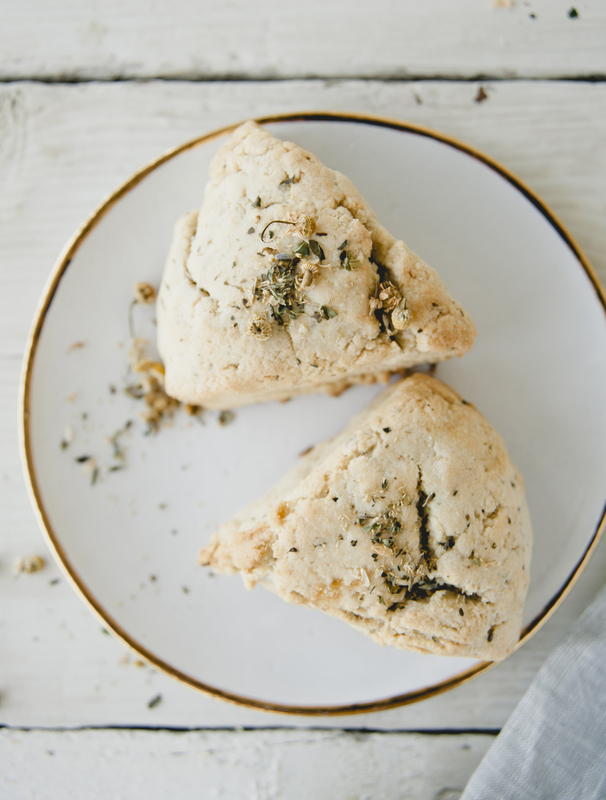 If you haven’t baked up our scrumptious Lavender Scones featured on Vogue.com or our Currant Scones over at Goop.com, here’s another chance! 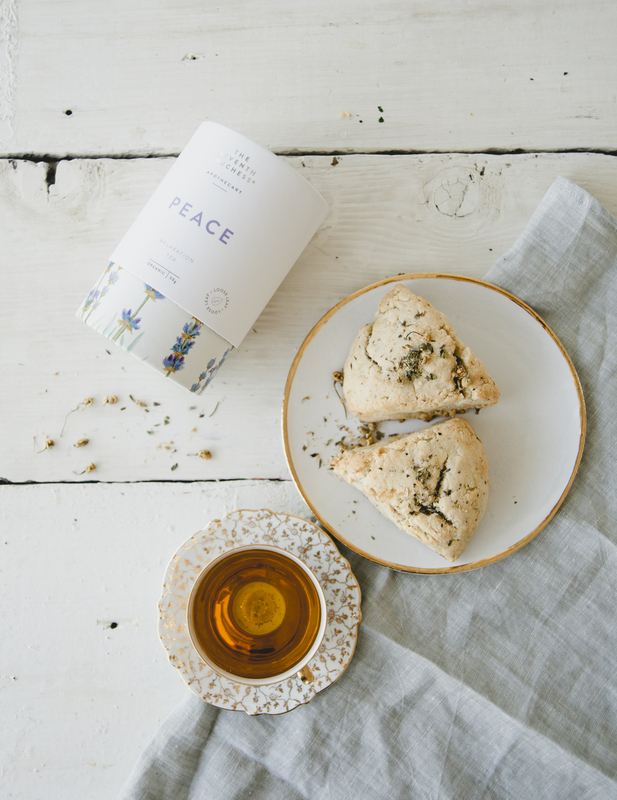 Today’s scone recipe is a special collaboration with the ladies at The Seventh Duchess, our latest tea crush. I love The Seventh Duchess Peace tea, a calming blend of lavender, chamomile, spearmint and passionflower. 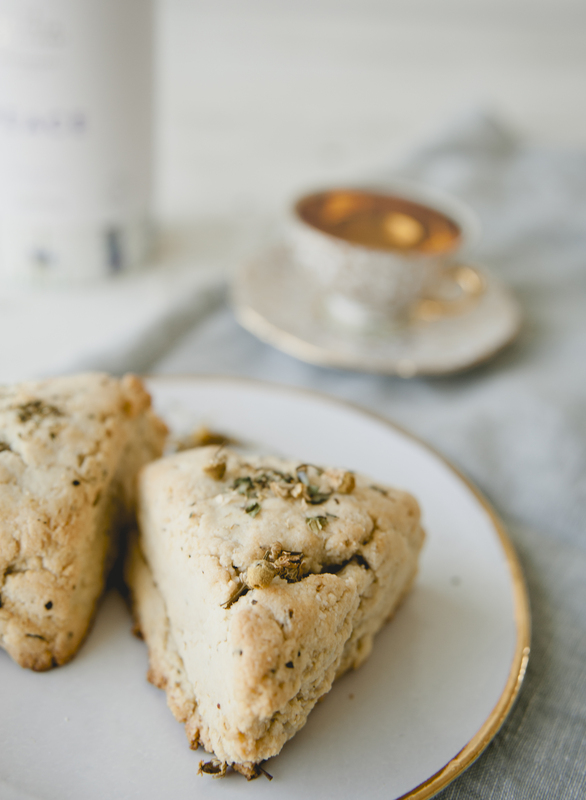 We added 2 tablespoons of the beautiful tea to our classic scone recipe. 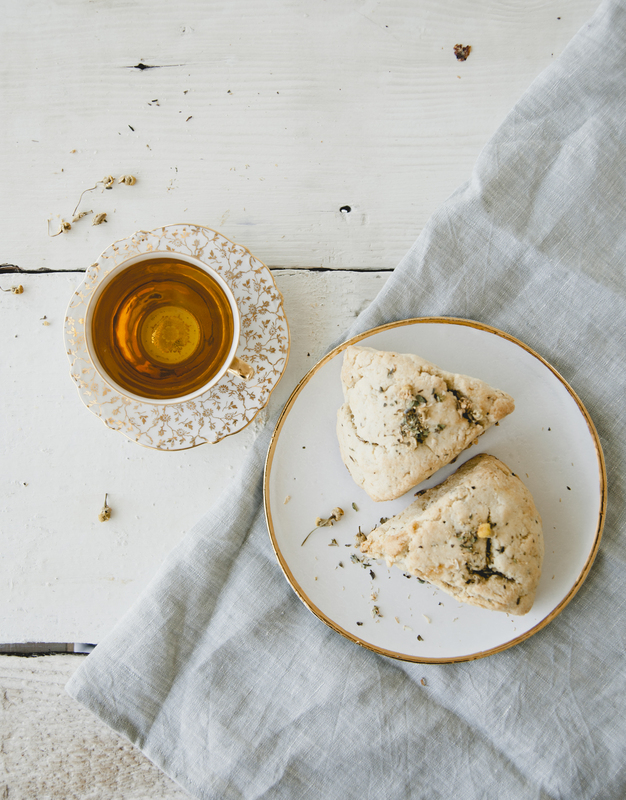 These scones with a cup of The Seventh Duchess will make anyone’s day! In a large bowl, mix together almond flour, Peace tea, Himalayan pink salt and baking soda. In another bowl, whisk together maple syrup, coconut oil, and eggs. Add the wet ingredients into the dry ingredients. Mix util a soft dough is formed. Place dough between two pieces of parchment paper. Gently roll out dough in a circular form until it is about 2 inches thick. Remove top layer of parchment. Using a sharp knife, cut the dough circular round of dough in half. Then cut crossways. Repeat until you have 6 triangles. 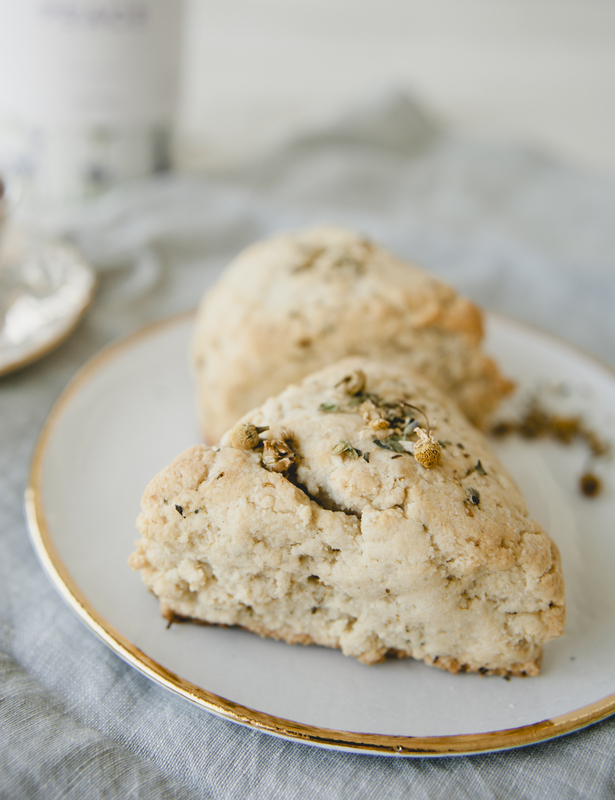 Sprinkle about a tablespoon of tea over top of scones and bake about 15 minutes. This entry was posted in baking, breakfast, dessert, Uncategorized and tagged afternoon tea, almond flour, coconut oil, dairy free, dairyfree, easy, english, gluten free, grainfree, himalayan pink salt, maple syrup, paleo, peace tea, refined sugar free, scones, seventh duchess, snack, sweet laurel, tea, vegan on July 8, 2016 by sweetlaurel.